It's never too early to start being a chic little boy. Our little guy will be camera ready instantaneously in this three-piece set by Fore Axel&Hudson. 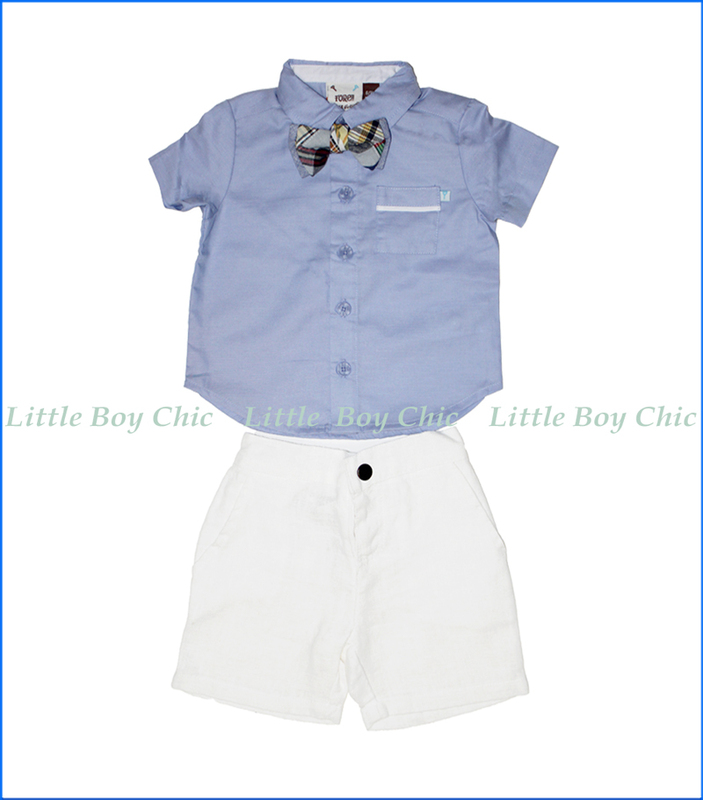 Includes a classic blue shirt, white linen shorts and a striking bow tie. This set makes a great gift for a birthday or for any other occasion.